Public Relations and Social Theory broadens the theoretical scope of public relations through its application of the works of prominent social theorists to the study of public relations. 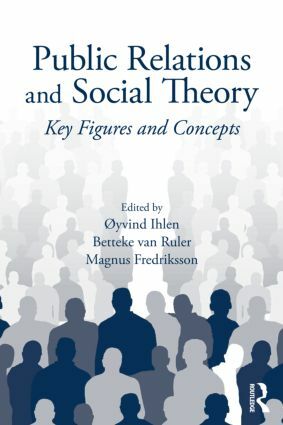 The volume focuses on the work of key social theorists, including Jürgen Habermas, Niklas Luhmann, Michel Foucault, Ulrich Beck, Pierre Bourdieu, Anthony Giddens, Robert Putnam, Erving Goffman, Peter L. Berger, Gayatri Chakravorty Spivak, Bruno Latour, Leon Mayhew, Dorothy Smith and Max Weber. Unique in its approach, the collection demonstrates how the theories of these scholars come to bear on the understanding of public relations as a social activity. Understanding public relations in its societal context entails a focus on such concepts as trust, legitimacy, understanding, and reflection, as well as on issues of power, behavior, and language. Each chapter is devoted to an individual theorist, providing an overview of that theorist’s key concepts and contributions, and exploring how these concepts can be applied to public relations as a practice. Each chapter also includes a box giving a short and concise presentation of the theorist, along with recommendation of key works and secondary literature. Overall, this volume will enhance understanding of theories and their applications in public relations, expanding the breadth and depth of the theoretic foundations of public relations. It will be of great interest to scholars and graduate students in public relations and strategic communication.